 The roots of Our Saviour Evangelical Free Church go back to the 1950’s and 1960’s when Bible-teaching churches were in short supply in the fast-growing northwest suburbs of Chicago. The founding members wanted a church that would provide the Wheeling community with a Christ-centered program of worship, prayer, and education for the family and provide opportunities for Trinity Evangelical Divinity School students to serve in a local church. The first service was held in 1956 and soon after the congregation began to support overseas missionaries. The first pastor of Our Saviour was Ken Olenik, a seminary student from Trinity who was sent to Wheeling to plant a church. The church was officially incorporated as Wheeling Evangelical Free Church in 1958. (Our Saviour became the name in the mid-1970s.) The congregation met in local elementary schools until its first building was erected at the current location, 300 Schoenbeck Road in 1971. The 1970s were a time of significant growth. By 1978 the church needed to expand its facilities and an addition, including a multi­ purpose room (gym), kitchen, larger nursery, and classroom space, was built in 1978. By the end of the 1980s average church attendance had grown to over 300. Community outreach took a multi-cultural turn in 1983 when Living Hope Evangelical Free Church, a ministry to first-generation Hispanics, made its home at Our Saviour. With the addition of staff in the 80’s and the emergence of Our Saviour as a multi-dimensional, medium-sized congregation, the church reorganized its governing structure in 1989. This resulted in an organization with six commissions: Worship, Evangelism, Disciple-making, Fellowship and Care, Prayer, and Administration. In 1991, to promote intimate fellowship and spiritual growth, a new small group ministry was created. The result was bi-monthly opportunities for everyone to meet with their deacon group. The church’s continuing commitment to children was demonstrated through the addition of a Children’s Disciplemaking Commission. The Children’s Church ministry was also expanded and revamped in early 1994. With the current facility stretched to the limit, 1996 became the year of the biggest construction project in the history of the church. It entailed a two-level addition and renovations that included a 400-seat sanctuary, a fellowship hall and much needed classroom space. The first worship service in the new sanctuary was held on November 24, 1996. Today Our Saviour Evangelical Free Church remains committed to Christ-centered expositional teaching, worship and discipleship. We praise God for His many blessings throughout the years.